Nothing says “SUMMER CELEBRATION” like the smell of burgers on the grill flowing through the neighborhood. How do you cook up your burgers? 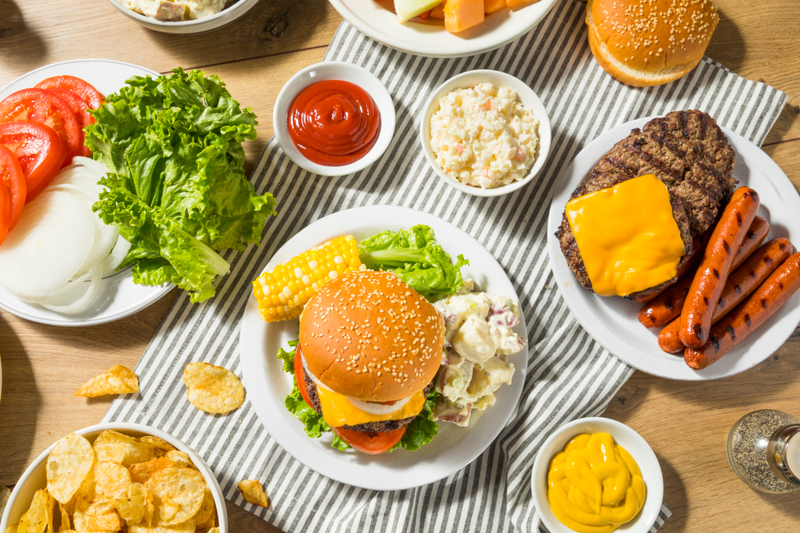 While the majority of people just toss the hamburger patties on the grill, there are some who have taken the challenge upon themselves to make the best burger ever. Are you ready to level up your burger making game? If so, fire up your Gourmet Guru Grill and check out these 5 tips to get the best burger you have ever tasted. Some people are very sensitive to the type of meat they want their burger to be. Maybe you are a turkey burger kind of person. Maybe you like 100% beef better. These ground meats make good burgers, but if you want to really get more flavor, try combining different meats. In today’s supermarkets, it’s easy to find a variety of meats already ground up: chicken, pork, turkey, and lamb. You can even mix in ground sausage with your beef. For example, if you wanted to give your burger a little Italian flare, you could mix beef with spicy Italian sausage. Don’t be afraid to play around with different meat combinations. You may be surprised what you come up with. Most of us are guilty of this one. We flatten the patties or buy them already made. We take a little salt, a little pepper, and our favorite seasoning and sprinkle a little on the top and a little on the bottom before placing it on the grill. The next time you are making up your burger patties, place the meat in a bowl. Add in your seasoning and mix with your hands. By doing this, you are helping the seasoning to get into more parts of the patty. And if you really want to give your patties some flavor, try adding in a salad dressing like ranch or Italian or a spicy sauce. You can even add in dry onion soup. Just be careful that you don’t overwork the meat. This one may seem a bit weird, but studies have shown that when food looks better, that some people think that it tastes better. That is why so many restaurants put so much effort into the visual details of their dishes. Depending on the type of burger you are making, you could add in bright green cilantro or red bell peppers. Sometimes you feel like a good ole’ American cheeseburger, and sometimes you want something more. Are you craving Mexican food tonight? Try topping your burger with avocado and pico de gallo. If you are wanting a cajun dish, you may try adding cajun spices to your meat and topping with andouille sausage or shrimp. The possibilities are endless. 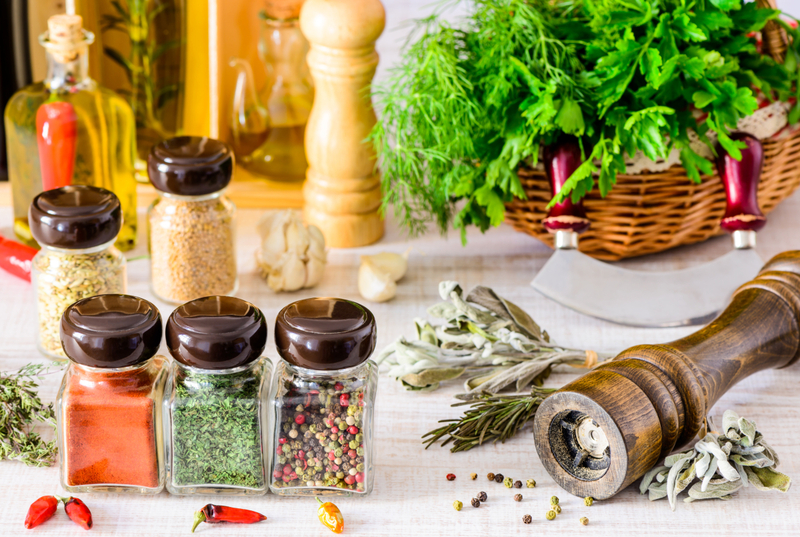 You can mix different meats and spices all day long, but if you aren’t using the right cooking tools, then your food is never going to be the best that it can be. The Gourmet Guru Grill is the only grill you will ever need, and it makes a GREAT burger. Since the grill is a ceramic grill, heat radiates evenly throughout the dome, and it is able to cook your burgers from ALL sides, not just the bottom. Ceramic grills are also known for producing juicy flavor packed meats that are never dry. Want to check out how these grills in person? Find a Gourmet Guru Dealer near you by using the WHERE TO BUY feature on our website. You can also get recipe inspirations and find out where Gourmet Guru will be next by following us on our Facebook page. Are you ready to try some of these tips and cook up the best burgers on the block? Start out by prepping everything before getting started. Chop up all vegetables and slice up the andouille sausage into bite sizes if using as a topper. - Using a large skillet, heat about 1 tablespoon of olive oil over medium-high heat. Add the sliced andouille sausage and saute for about 5-7 minutes. Remove from the skillet and set aside. - Lower the heat to medium and add in more olive oil if needed into the skillet. Add the chopped onions and saute until tender. - Add the garlic cloves and Cajun seasoning. Cook for 3-4 minutes. - Add the vinegar and soy sauce and cook for an additional 3-4 minutes. - Return the andouille sausage to the skillet and mix to combine evenly with the onion. Cover and set the burger toppings to the side. - Using direct heat, get your Gourmet Guru Grill heated to about 400° F.
- Divide the ground meat evenly and make 4 patties. While making the patties, you can add in salt and Cajun seasoning for a bit more taste. However, be careful to not overwork the meat. - Before placing patties on the ceramic grill, make a small “dimple” in the center. This is another way to ensure that moisture doesn’t build up in the center and cause your burger to bulge. - Fully cook the patties on one side, about 5 minutes, before flipping. With a ceramic grill like the Gourmet Guru Grill, you should only need to flip once before taking the burger off the grill. - If adding cheese, top patties about a minute before removing them from the grill. Now, all you have to do is assemble your burger (bun, patty, andouille topping, bun). Add in any condiments you think you may like, but honestly, this burger is so packed with flavor that you really don’t need anything else.